During a visit in July 2010, I visited Burgundy business Joseph Drouhin, at their Beaune offices, where I met with fourth generation, Philippe Drouhin, the estates manager, who runs the domaine properties and negociant business along with his three younger siblings Véronique, the chief winemaker, Laurent, their director in the USA, and Frédéric, the company’s president. 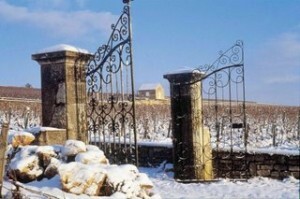 The domaine part of the business owns more than 70 hectares in the Côte de Nuits, Côte de Beaune, Côte Chalonnaise and Chablis, making it one of the largest domaines in Burgundy. It accounts for around 40% of Drouhin’s total business. And though it isn’t displayed prominently, in fact it isn’t displayed at all, on the label, all the domaine vineyards are certified organic. Philippe explains why, after more than 20 years of working in an organic way, he only latterly sought certification. “In 1988, yellow and red mites were a big problem. The beginning of the discovery for me was Typhlodromus pyri, a small mite that eats the other mites.” Vignerons had been using chemicals since the 1960s which also killed the T. pyri, but, he said “the new chemicals [at the time] had to avoid damaging the pyri” because of the work it did in countering red and yellow mites. Now”, Philippe added “no-one now uses chemicals against yellow and red mite. “New chemicals come on the market on every three years, but we know nothing about the long term effects, and we have no knowledge about [the consequences of] mixing the various chemicals.” Chemicals tend to be targeted against single issues so combining chemicals against e.g. downy mildew, powdery mildew and mites all together creates an unknown situation. Philippe continued “so it was obvious for me to use organic chemicals such as copper and sulphur. It was still risky but it was the way to go – for the safety of people working in vineyards, and for living organisms we did not want to kill with the new chemicals. I decided we should go the organic way. If anyone is looking for a checklist of things to do for an environmentally sympathetic viticulture, or expanded biodiversity, Philippe was not particularly encouraging. He said “I don’t have a structured plan as result of sophisticated study. There are things we’ve done that keep diversity in the landscape such as planting trees, addressing erosion. For example, managing grass is critical to the flow of water. 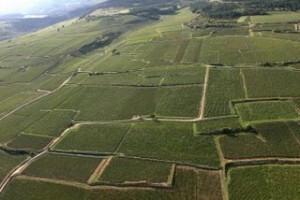 In Chablis, it is common to have long slopes, so by cutting rows and having a bank [across] with tough grass, we can create a stop that cuts the speed of water and retains some earth. Overall he said “I suspect that the quality has increased, but I have no proof. 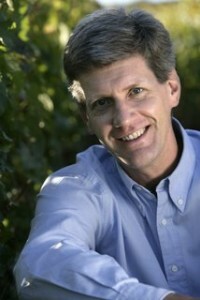 But it’s obvious for me that organics and biodynamics have an impact on the wine, the terroir expression, the quality.” And, rather modestly, he added “all [my siblings] are happy with the increase in quality of the wines … at the same time the vineyards have got older, the weather has got warmer”, suggesting other factors may also be at play.